Welcome to my review of Kindred IM Academy! This review is going to be unique because I am not affiliated with any of the company that I review. This is important because you came here to know the truth about the company, and more importantly, can you make money with this company. There are several sections of the review including an overview, product & services, compensation plan and a list of pros & cons. All of the sections are important but believe it or not, the overview may be the most important. The overview of the company provides an inside look at the company and its leadership. If a company has poor leadership, then it will most likely struggle and would make a poor investment. This is why I spend most of my time trying to find out who the founders are and if they have a history of success in other ventures. Here are a few things you will not see in my reviews. I will never sugar coat anything. All of the information I provide is backed up by sources. There will be several links to follow if you are interested in particular aspects of the company. Although it is not mandatory to read all of the links I provide, it will help people understand the company and all of its working parts. OK, I have to point something out about this company and it is not a good sign to get things started. Remember what I said about the importance of a company’s leadership? Well, Kindred IM Academy has decided not to disclose who is running the show. After doing some research on the domain name, the company was registered on July 12th, 2015. Two things to point out real quick; one, the company is barely a year old and the company refuses to disclose who the leadership is. These are two major strikes when it comes to MLM companies. Any MLM company that is not willing to disclose basic information like leadership, should be put on the “risky” list. You should take your time and think for a long time before joining the company. Remember, the reason you are investing time in an online business opportunity is because you want to make money. If a company is going to hold valuable information from you, don’t bother. There are plenty of legit opportunities that are proud of their leadership and provide plenty of information about the leaders. There are already two major issues with the company and we are still in the infancy of this review. Let’s see if the Products & Services section of the review bode any better for them. The Kindred Academy product line is a little confusing so I will try and sort it out. First of all, there is no retailable products or services. The members are only able to recruit others to purchase one of the membership packages. In fact, this is where all of the revenue comes from. Once you pay $50 to become an affiliate, the company must pay $5 to the person that sponsored the new recruit. Once this process takes place, you are now qualified to participate in the commission based business opportunity. Kindred Academy talks about their marketing courses and something called an Electro Magnetic Radiation Protector but it is unclear if people receive them after you purchase a membership. You can follow the link if you want to know what an EMR protector is. It is an item that does serve a purpose but I don’t know if it is a “must have” game changer. One this is for certain, the two products listed above are not in any way linked to retail availability or a part of the compensation plan. All I know is that you have to gift $5 to become an affiliate after the initial start up fee and there is nothing that says if it’s a one-time fee or a monthly fee. This is the kind of things that turns people off. I know I’m a little skeptical about the company but for more than this practice. This kind of process has been done before and it doesn’t end well for the companies that do this sort of thing. But, only time will tell if this is the case with Kindred IM Academy. 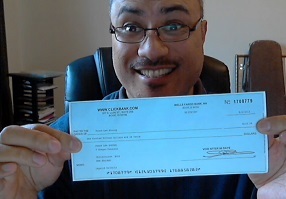 Like most companies, the compensation plan is extensive so I will provide you with the nuts and bolts. I leave it up to you to read the Kindred IM Academy Compensation Plan located at their main website. Let’s see if the plan actually supports those claims. Kindred Academy relies on affiliates to gift money through their downline. This is done using the classic 2×8 matrix which then places the first two sponsored affiliates below them. This is the 1st level of the matrix and the process continues the same way for the people you recruit. Here is an image to help you see it in action. Here is what KIMA doesn’t tell you. The entire compensation plan and gifting scheme is great for the founders and top affiliates. You know the ones I mentioned in the overview. The plan is horrible for newbies and only the admins make the real money. 1. Here is a link about low level magnetic fields and health concerns from the World Health Organization. Check out part of the conclusion of their scientific analysis of the everyday exposure to low level electromagnetic fields. I have one questions for my readers and for the leadership of Kindred IM Academy. Who should be trusted more, WHO or scientists getting a paycheck from the people selling the product? Look, there are a lot of companies that do this but it is a sign that a company has little faith in their products or services. Especially when considering how many other issues this company has. Imagine if people could get their money back; the company gifting scheme would crumble and the scam would be revealed. 3. The last part of the company that I don’t agree with is the fact that there is little to no transparency. In today’s global market, you would think that a company would share basic information with its consumers. Now, most of this information is available if you spend a few hours digging, but the actual founder and owner of the company is still a mystery. The only bone they throw us are the admins names which is a bit tasteless in my opinion. I want to know who created this company so that way I know what MLMs to stay away from. I have a feeling that this company was created by someone with a horrible reputation. There are plenty of other MLMs that provide you with a legit all around online business opportunity. To be honest, this company could turn into a decent business once some of the speculation is put to rest but it is entirely dependent on KIMA. They would have to stop the gifting scheme and provide background information on the founder(s) of the company before I even consider joining this company. One of the best solutions I have for this kind of company is to get some of the best training that is available. One company that I introduce to people is called Wealthy Affiliate. The training program is top notch and it is affordable. They have a proven track record and you can test them out for FREE so there is absolutely no risk involved. I hope this review helped you with your journey in finding the perfect online business opportunity for you. If you have any experience with KIMA, would like to leave a comment or ask a question, feel free to fill out the form below. A Karatbars International Review – Is it Legit or Another Gold Scam?